Philadelphia police are searching for the unknown man who they say stabbed an Uber driver in the chest in a terrifying attack caught on video. The attack happened around 5 a.m. on Feb. 15 as the victim, a 55-year-old man, was sitting in his car waiting to pick up an Uber passenger, according to the Philadelphia Police Department. The suspect is seen on video talking to a woman on the corner before he walks up to the car and allegedly stabs the victim through the driver’s side window. 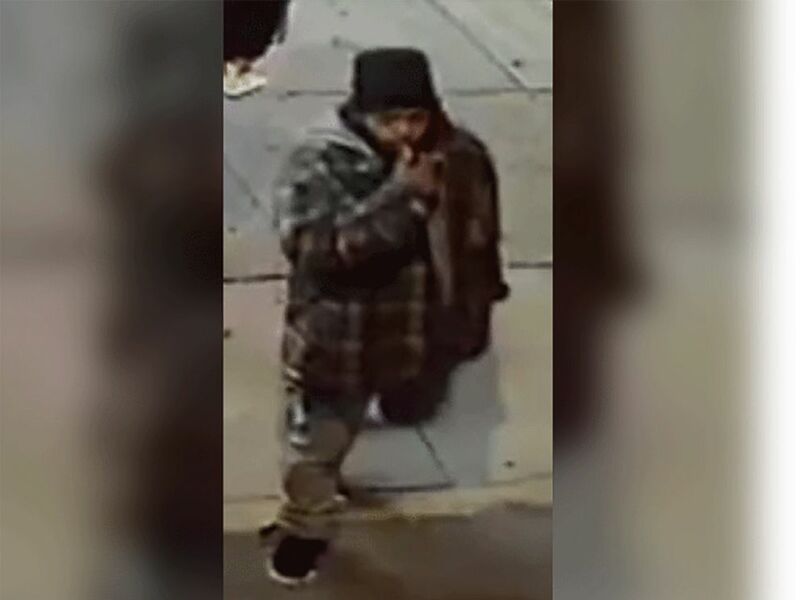 Suspect is wanted for stabbing a man on Feb. 15, 2019, in Philadelphia. As the suspect and the woman fight, the victim stumbles out of his car and flees to safety. The victim, who was not named by police, was hospitalized in stable condition, authorities said. Philadelphia police on Wednesday did not have an update on the victim’s injuries. Anyone with information is asked to call the police department’s east detective division at 215-686-3244. Uber did not immediately comment on the case to ABC News.